Editor's note: I guess I need one...an editor. My apologies for the chronological errors in last week's version of "This Week in SigEp Patriot History" (TWISPH). Another example of why it is always good to have someone read over your work. Today marks the 239th anniversary of the founding of the U.S. Army. Happy 239th Birthday U.S. Army SigEp Patriots! Volume 15 of TWISPH for the year includes notable news, accomplishments and acts of service and sacrifice by 27 military brothers of the Army, Navy, Marine Corps and Air Force from 25 chapters from across the country spanning 97 years. Four SigEp Patriots made the ultimate sacrifice during this week (1 - WWII, 2 - Vietnam War and 1 - Operation Iraqi Freedom), and eight brothers passed away having served in four conflicts around the world. Please keep their family, friends and chapter brothers in your thoughts and prayers. The SigEp Patriots Project (SPP) knows of 14 brothers who served in the military and were awarded the SigEp Citation - two of them are referenced in this edition of TWISPH. 13 JUN 1918VA Epsilon Brother Cralle Blackwell volunteered on this date for World War I service with the U.S. Army Coast Artillery Corps. On the same date, NY Beta Brother (then) Lieutenant James A. Meissner, U.S. Army Air Service had his 4th aerial kill over Thiaucort, France in his Nieuport 28 while assigned to 97th Aero Squadron. He would go on to be a WWI Ace and establish the Alabama Air National Guard. 12 JUN 1930VA Zeta Brother Robert Wood graduated from the U.S. Military Academy at West Point on this date and was commissioned a Second Lieutenant, U.S. Army Coast Artillery Corps. Following WWI, he attended the National War College and later served as a military aide to the (first) Secretary of Defense, James Forrestal (a fellow SigEp). Brother Wood went on to retire as a General, and was posthumously awarded the SigEp Citation in 1967. 12 JUN 1944On this date, World War II Veteran and CO Gamma Brother Staff Sergeant Arthur Sinclair Edmundson, U.S. Army made the ultimate sacrifice when he was killed in action in Normandy, France while serving with the 359th Infantry Regiment, 90th Infantry Division. Brother Sinclair left Colorado State University to enlist in the Army as a Private at Fort Bliss, TX in MAR 1942. Arthur is remembered on Panel: 11, Column: 1, Row: 107 of the Colorado Freedom Memorial in Aurora, CO. 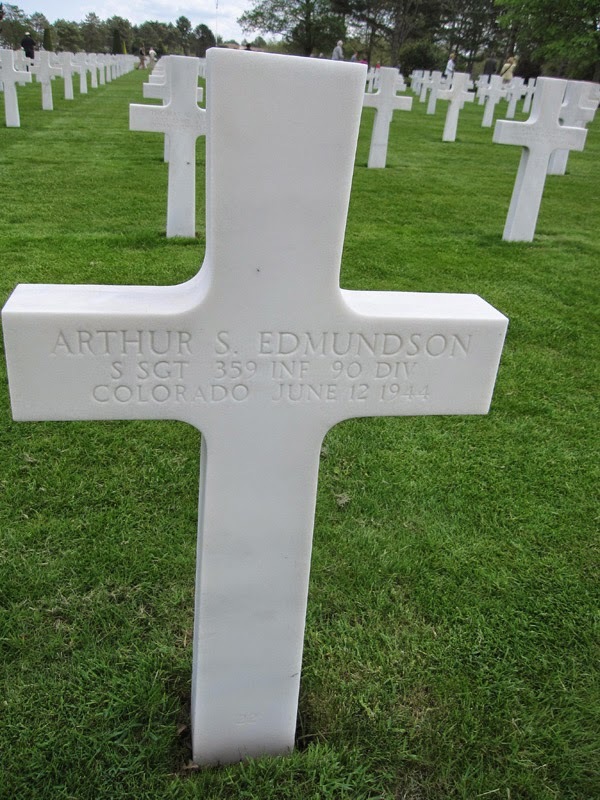 Respect can be paid to Brother Edmundson at Plot H, Row 18, Grave 22, Normandy American Cemetery and Memorial, Colleville-sur-Mer, France. 13 JUN 1944World War II Veteran and NY Gamma Brother Second Lieutenant James W. Ellwanger, U.S. Army landed at Omaha Beach, Normandy, France on this date with the 817th Military Police Company, XIX Corps. 10 JUN 1946On this date, World War II Veteran and DE Alpha Brother Captain S. Clifford Dunn, U.S. Army Coast Artillery Corps was discharged after about 3 1/2 years of service. 13 JUN 1946World War II Veteran and IN Alpha Brother Lieutenant Stuart Thomson, U.S. Navy was released from active duty service on this date following nearly 4 1/2 years, including 19 months overseas. 13 JUN 1968KS Beta Brother Dennis D. Woofter was designated a naval aviator on this date. During two tours in Southeast Asia, he flew his A-4 Skyhawk on 168 missions and accumulated over 300 carrier landings. Commander, Lima Company, 3rd Battalion, 4th Marines, 3rd Marine Division. He was killed while leading a night counterattack against an overwhelming enemy force of North Vietnamese Army regulars that had overrun the company's position. Brother Joyner was posthumously awarded the Bronze Star Medal with Combat “V” (Valor) for his heroic actions in helping save the lives of seven wounded Marines during combat action near Khe Sanh the week of 07 – 15 JAN 1968, while serving as a Platoon Leader within Lima Company. The medal was presented to his mother in NOV 1968 at a ceremony at Marine Corps Air Station, EL Toro. A graduate of Fullerton Junior College, Stephen was a first team All-American defensive end in football. He was further honored as the recipient of the Arthur L. Nunn Memorial Award presented to the “Most Inspirational Athlete” of the 1964-65 year. Stephen’s selection of this award was based on his inspirational leadership qualities, athletic success, and academic success. In 1964, Brother Joyner was also selected as one of the Top 25 Fullerton College “Men of Distinction”. After transferring to California State College at San Diego (now San Diego State University) he was designated a first team linebacker and become a brother of Sigma Phi Epsilon. During his senior year, Brother Joyner enlisted in the Marine Corps. 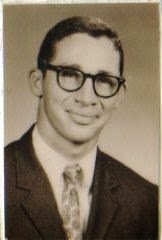 He was encouraged to continue his education, and he graduated with honors in 1966. The day following graduation, he left on a cross-country trip to Quantico, VA, where he reported for training 01 AUG. He was commissioned a Second Lieutenant in OCT 1966. In honor of Brother Joyner, Fullerton College established the "First Lieutenant Stephen D. Joyner Memorial Football Award" to recognize one or two football players who will transfer to the upper division of a four-year institution as eligible juniors. The award qualifications states that "recipient(s) must possess in good measure the traits of loyalty, sportsmanship, leadership, citizenship and personal warmth" that characterized the man memorialized by the award. Brother Joyner is honored on Panel 57W, Row 27 of the Vietnam Veterans Memorial - The Wall - on The National Mall, Washington, DC. 14 JUN 1969Vietnam War Veteran and AR Gamma First Lieutenant Johnny Frank Davis, U.S. Army, 24, made the ultimate sacrifice on this date in Hua Nghia, South Vietnam. A Paratrooper, Infantryman and Platoon Leader, Brother Davis arrived in country in MAY, and was serving as a platoon leader in Bravo Company, 1st Battalion, 505th Infantry Regiment, 3rd Brigade, 82nd Airborne Division when he fell on this date. Johnny had a ROTC scholarship at Arkansas Tech where he graduated from and was commissioned a Second Lieutenant, U.S. Army. Five days before he was killed, Johnny was promoted to First Lieutenant. Brother Davis is honored on Panel 22W, Line 46 of The Wall. His awards include the Bronze Star Medal and Purple Heart. Respect can be paid to Brother Davis in Section 16 of Lawrence Memorial Park in Walnut Ridge, AR. 11 JUN 1999U.S. Marine Corps World War II Veteran and DE Alpha Brother Francis J. Jamison, 82, died on this date. Brother Jamison served as a Marine Scout in the 1st Marine Division that landed on Guadalcanal. Francis received a bachelor’s in English in 1940 from the University of Delaware, and joined The Delaware Safety Council the same year - serving as its Executive Director from 1969 until his retirement in 1993. Brother Jamison was instrumental in the driver education program for private schools, and he was actively involved with the National Safety Council and Industrial Safety. Respect can be paid to Brother Jamison at St. Joseph's on the Brandywine, Greenville, DE. 15 JUN 2001Korean War Veteran and CA Beta Brother First Lieutenant Thomas Rosso, U.S. Air Force died on this date. Brother Rosso was a pilot during the war, and a devoted Trojan all his life. Respect can be paid to Brother Rosso at Section CBFF, Row 1, Site 106 at Fort Rosecrans National Cemetery, San Diego, CA. 13 JUN 2006On this date, Persian Gulf War & Operation Iraqi Freedom Veteran, MO Zeta Past President (then) Lieutenant General James Conway, U.S. Marine Corps was nominated by President George W. Bush to become the 34th Commandant of the Marine Corps. Upon his ratification by Congress and promotion to General, Brother Conway served as Commandant until his retirement in 2010. In 2007, Brother Conway was awarded the SigEp Citation at Conclave Atlanta. U.S. Veteran and NY Beta Brother Elliott S. Washburn of Lancaster, Pennsylvania died on this date. A graduate of the Class of 1940 at Cornell, Elliott worked for Hercules Powder Company and owned a construction company. He was active in civic, community and alumni affairs. 11 JUN 2010Two SigEp Patriots were lost to us on this date. Two-time Operation Iraqi Freedom Veteran and TN Kappa Brother Sergeant Israel "Izzy" P. O'Bryan, U.S. Army National Guard (Tennessee) made the ultimate sacrifice five years ago on this date while serving as a squad leader when a suicide bomber in an explosives-rigged car struck their convoy during a stop in the city of Jalula, (Iraq) in Diyala Province near the Iranian border. Izzy was assigned to 5th Battalion, 20th Infantry Regiment, 3rd Stryker Brigade Combat Team, 2nd Infantry Division from Joint Base Lewis-McChord, WA. He was 24 years old, married and had a nine-month-old son, Turner. Raised in a military family, Izzy participated in ROTC while attending University of Tennessee – Martin. He enlisted in the the Army in MAY 2006, first served in Iraq in 2007 and deployed there again in AUG 2009. His awards include the Bronze Star, Purple Heart, Army Commendation Medal, Army Achievement Medal, National Defense Service Medal, Iraq Campaign Medal, Global War on Terror Service Medal and Combat Infantry Badge. A fund was established to help pay for Turner’s education. Donations can be sent to: Community Bank, 3200 North Highland Ave, Jackson, TN 38305. Respect can be paid to Brother O’Bryan at Wilmot Lutheran Cemetery in Wilmot, SD. On the same date, Vietnam War Veteran and OR Alpha Brother Captain Ernest “Ernie” Harris, U.S. Marine Corps, 70, died peacefully at his home in Honolulu after a valiant battle with cancer. As a Naval scholarship recipient, he attended Oregon State University where he graduated with a degree in Civil Engineering in 1961 and joined the Marine Corps. Brother Harris saw battle in Vietnam at Khe Sanh and Hue City, and was most proud of the fact that he was able to bring all his men home safely. Among many military honors and decorations, he was awarded a Bronze Star with Combat “V” for Valor and a Purple Heart. Ernie felt honored to serve as Master of Ceremonies for 20 years in the Vietnam Veterans Memorial Day Service. He also took great pleasure in being able to provide 12 full, four-year college scholarships to local public school students from Oahu. He was twice chosen to sit on the board of directors for the Oahu Country Club, and was considered a mentor by many younger colleagues in his industry. Respect can be paid to Brother Harris at Section 64, Site 3962, Arlington National Cemetery, Arlington, VA.
09 JUN 2012World War II Veteran and IA Delta Brother Seaman First Class John "Jack" Redden, U.S. Navy Reserve, 85, died on this date in Memphis, Tennessee. Following two years of service in the Navy Reserve (1945-46), he graduated from Drake University in 1950, and soon began his career in the cemetery/mortuary industry. Respect can be paid to Brother Redden at Cleburne County Memorial Gardens, West Heber Springs, AR. 10 JUN 2012U.S. Navy Korean War Veteran NC Eta Brother Robert Snyder died on this date at his home in King, North Carolina. After high school graduation, Robert went to Duke University, but at the start of the Korean War he left school and enlisted in the Navy, where he served several years at a naval test station in the Mojave Desert before being assigned to a mine sweeper in Korean waters. Robert completed his degree upon his return to High Point College where he became a brother in Sigma Phi Epsilon. He worked for Piedmont Airlines for 30 years, and he and his wife were dedicated travelers. American Legion Post 290 in King – of which he was a proud member – performed the military honors at Brother Snyder’s funeral. Respect can be paid to Brother Snyder at Trinity United Methodist Church Cemetery in King. 11 JUN 2012U.S. Army Veteran IL Theta Brother James P. Epperson died on this date in Barrington, Illinois at the age of 83. We looked and looked, but all we could learn about his Army service was that he served at Fort Knox, KY.
Jim received a Bachelor of Science in Education from Western Illinois University, and continued on to receive his Master's degree there. Brother Epperson worked as a teacher and head coach in Dupo, IL; Grosse Pointe, MI, and Barrington High School of Barrington, IL. During his coaching career, he compiled an impressive record of 146 wins against 78 losses. He went on to work as a real estate appraiser following retirement as an educator. 11 JUN 2013AK Alpha Brother John Kirkland raised his right hand on this date and swore to defend the country while serving in the U.S. Air Force. 14 JUN 2013CA Theta Brother Ted Hornstra was commissioned a Second Lieutenant, U.S. Army on this date at a ceremony at University of California – Davis. 15 JUN 2013On this date, Operation Iraqi Freedom Veteran and MT Alpha Brother Specialist Branden Ramsdell, U.S. Army was chosen from 11 applicants to be the first recipient of the SPP Conclave Registration Scholarship. The Project looks forward to presenting the second scholarship to a deserving undergraduate SigEp Patriot for Conclave Nashville in 2015. RECENT LOSS TO THE ROLL* U.S. Marine Corps World War II Veteran OH Alpha Brother Donald J. Bloker, 91, passed away 09 JUN at New Life Hospice Center of St. Joseph in Lorain, Ohio after a short illness. Graveside services will be Monday, 16 JUN 2014 at 1130 (11:30am) at Maple Grove Cemetery, Vermilion, OH. The Vermilion Veterans Council will conduct military honors. I am sure the family would appreciate any respect expressed by brothers. Our thoughts and prayers are with Don's family, friends and fraternity brothers, and SPP pledges he will always be remembered. SIGEP PATRIOT NEWS* U.S. Army Veteran NY Iota Brother Josh Dean is now engaged to Miss Alisha Gresty, and a wedding in 2015 in the works! Congratulations to you and your families! * This week marked the end of a three-year tour at Naval Medical Center Portsmouth for NC Kappa Brother Hospital Corpsman Bryce Booth, U.S. Navy. Bryce and his wife, Miranda, are now driving cross-country to their new duty station in San Diego. Best of luck and be safe on that drive! * U.S. Marine Corps Reserve Veteran NY Eta Brother Kevin Sitek is recovering from successful back surgery. Please keep him in your thoughts and prayers. * TN Eta Brother James Chase was recently promoted to Major, U.S. Army. Congratulations Brother! If you have been promoted, transferred duty stations, completed training or have any other news we would love to hear it! SPP UPDATE* SPP added 56 SigEp Patriots to the archives this week. Please keep passing the word about the Project. * With the addition this week of AK Alpha Brother Airman First Class John Kirkland, U.S. Air Force & three-time Operation Iraqi Freedom Veteran and MD Beta Brother Major Bill Muthiora, U.S. Army National Guard (Idaho) SPP's official Facebook page - SigEps Who Serve - now numbers 712 brothers who serve/served in the U.S. military. We are looking for you and hope you will join us. * On Twitter, @SigEpsWhoServe now has 82 followers* SPP T-shirts continue to be sold at https://www.interstated.com/store/sigepic. Just click on the link and scroll to near the bottom of the page.